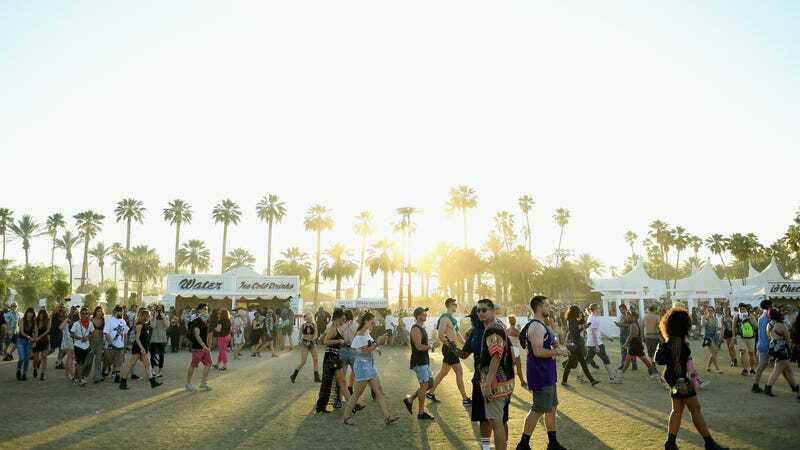 Most U.S. music festivals are starting to look a lot alike, but there’s a super surprising silver lining to Coachella’s lineup this year: It features more Latinx artists than ever before. Remezcla points out that there’s 15 Latinx acts on the bill—including rap reina Princess Nokia, the always sultry Miguel, pop powerhouse Kali Uchis, Brooklyn indie rock duo Buscabulla, L.A. pop outfit The Marías, cumbia sonidera legends Los Angeles Azules and Cardi freakin’ B, my Dominican queen. The music and culture blog also points out that last year there were only 11 acts—at that point, marking an all-time high for Latinx representation at the southern California music festival. Yup. So 15 artists might not sound like much (especially considering how big the lineup is, I swear the font sizes manage to get smaller every year) it makes 2018 a historic year for diversity at Coachella. And yet, it still isn’t very much at all, is it? In 2015, Census Bureau numbers confirmed that Latinos officially outnumbered whites in California, and that was nearly three years ago! Kali Uchis, Buscabulla, Los Angeles Azules, Miguel—these are not newcomers making a splash in the music world after their first EPs. They’ve been around for years. What their inclusion at Coachella really means is that the tastemakers of the mainstream music world are finally waking up to the fact that Latinx artists can make fans out of non-Latinx listeners—in other words, Latin pop is regular pop. Post-“Despacito,” that make sound like stating the obvious, but it hasn’t always been the music industry’s assumption. It’s nice to see that’s changing, even if it’s many years too late. Dale.